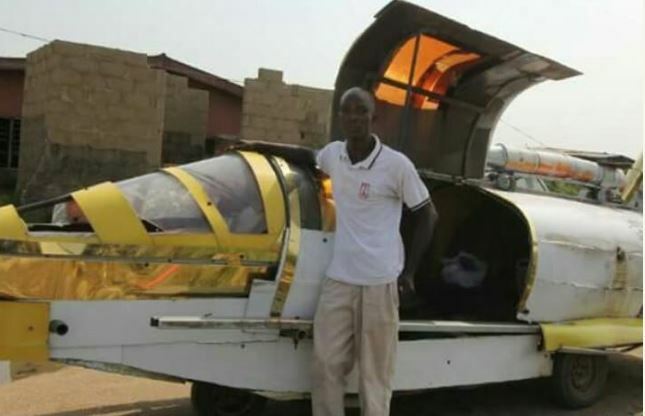 A Nigerian man from the South -western part of the country is leading a course in developing a multi -dimensional transportation project that can move on any platform . 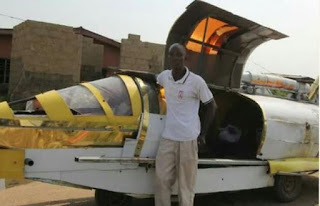 Kehinde Durojaiye has stunningly developed a transport device that shares the same attributes with a car , aircraft as well as a ship . According to reports, the device tagged a ‘Jet Car ’ has the ability to float on water , fly in the air and can be driven on land . The Jet Car being tested on water, road and air respectively. This inexplicable development coming from a Nigerian despite lack of support from the government or advanced knowledge in technological development like Japan and others has been applauded by netizens . Reports have it that it has been tested and it covered 86 miles when Durojaiye drove it from Lagos to Ibadan at the speed of 120 km / hr .